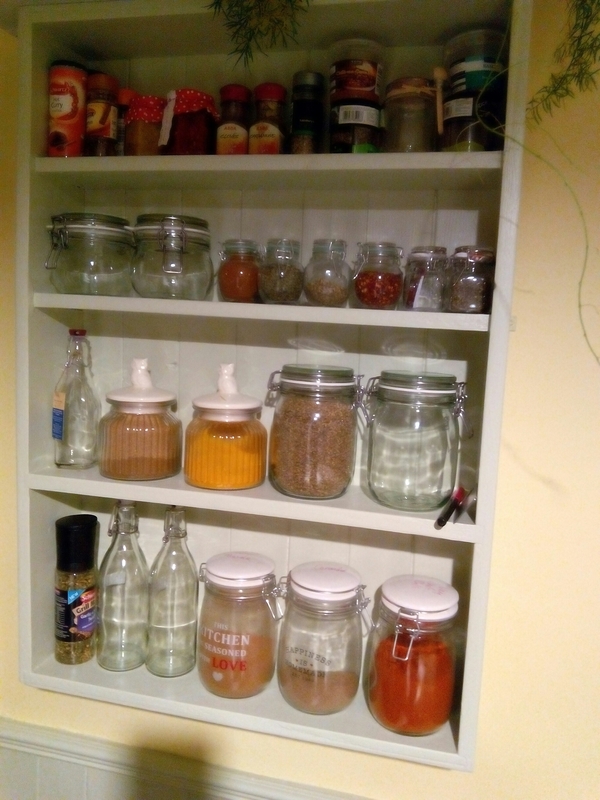 I’d meant to post a picture of my finished kitchen shelves. Which were actually finished a few weeks ago. This entry was posted in Doing stuff, House on 29/11/2015 by garymoore. After more shopping, I’m now in my mostest favourite bar in the country; Charters. 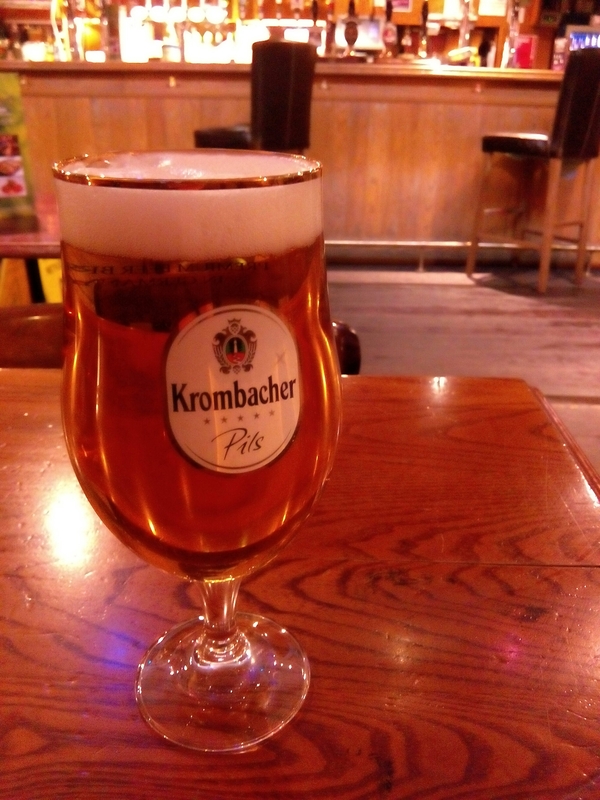 This entry was posted in Pubs, Shopping on 28/11/2015 by garymoore. 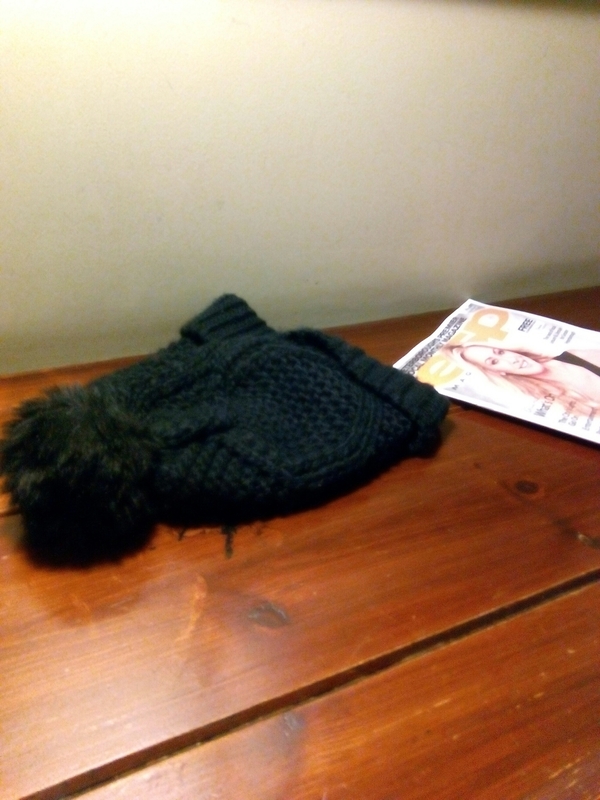 My second in command may be about to leave her hat in the very same place she left/lost mine. 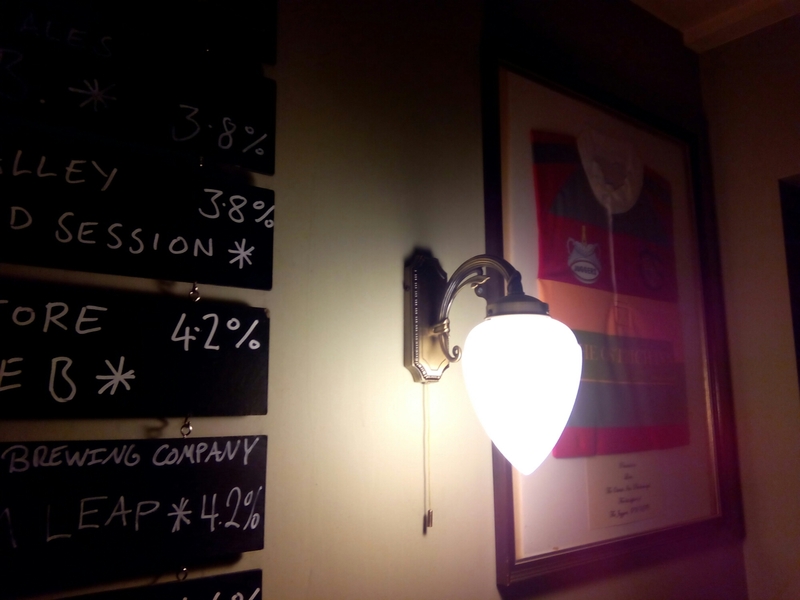 This entry was posted in Beer, Pubs on 28/11/2015 by garymoore. Currently in the Ostrich, after a very nice curry in the Taj Mahal (the one in Peterborough). In our usual seats. Did I mention that my second in command once lost a hat of mine here? 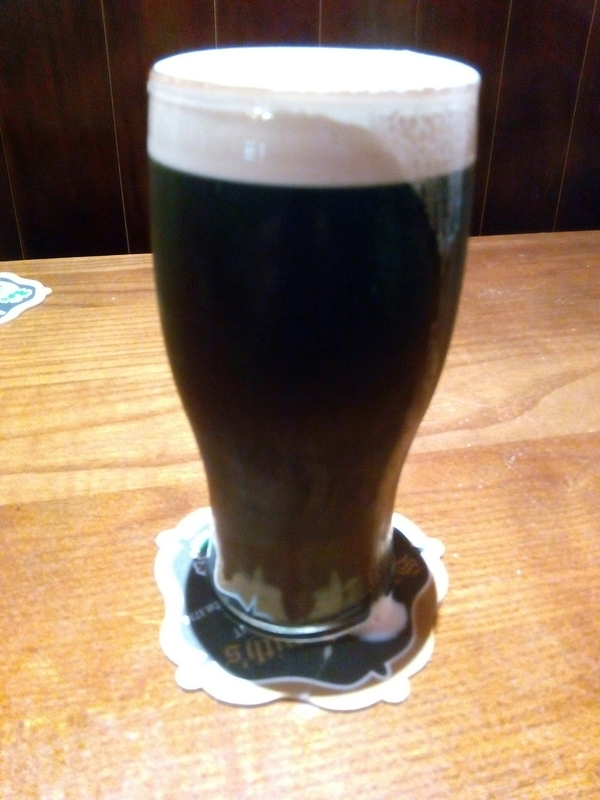 This entry was posted in Beer, Food, Pubs on 27/11/2015 by garymoore. After 45 minutes of Christmas shopping, I’m now in my second most favourite pub in the country. The Wortley Almshouses, Peterborough. I may have mentioned it once or twice in the past. 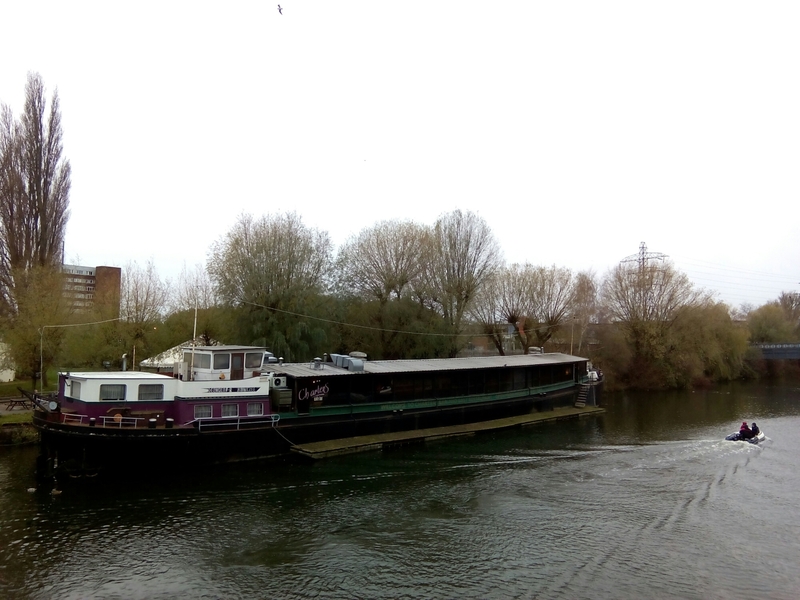 This entry was posted in History, Out and about, Pubs on 27/11/2015 by garymoore. If my second in command hadn’t been rubbish today, I wouldn’t have met Alan. The former went home after work this afternoon, even though she was supposed to meet me in town. So, I may have sat in the Split Chimp a while before I realised that my significant other’s communication skills, or lack thereof, would prevent our meeting. And, as for Alan. 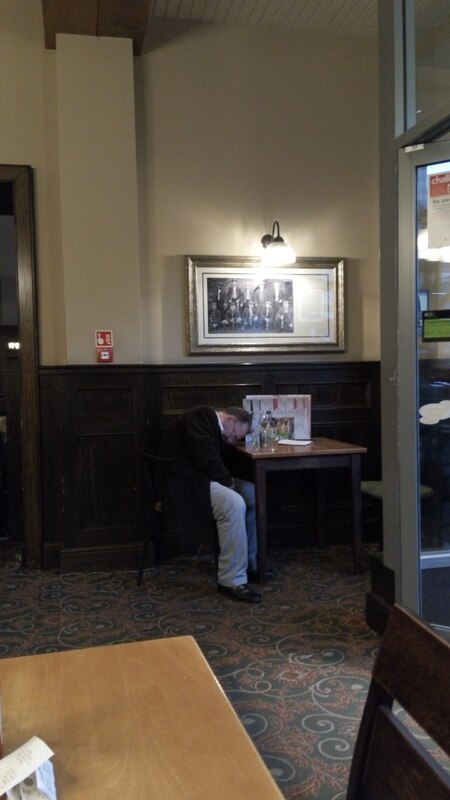 Well, he fell asleep in Wetherspoons, after a bottle of wine or, most likely, a couple. I’m sure he just needed a rest, but apparently it was deemed that he’d a medical\mental issue. I have to say that the man simply looked tired and in need of sleep. But, no, the staff felt the need to call an ambulance. And, when the ambulance arrived, tests needed to be undertaken. The end result, surprisingly, was Alan being taken home in the ambulance. And that, in my modest opinion, is a huge waste of NHS resources. In my day, bar staff would’ve thrown him into a cab. At his cost. This entry was posted in Weird on 21/11/2015 by garymoore. Who’d have thought one would see anything more out of the ordinary in my street than a man in a hospital gown? Well, how about a dog on a drip? While speaking on the phone with my eldest daughter, outside my local (no, I’d not actually been drinking), I noticed a dog walking down the street. Its owner was carrying a drip which was attached to the animal. Fortunately, the vet was within a minute’s walk. For the average dog. This entry was posted in Weird on 18/11/2015 by garymoore. I’ve not been home long after childsitting; my eldest grandchildren. The wearher out there is foul, so my walk from the bus stop to our house was brisk. My focus was on returning home before getting too wet. Which is probably how I almost didn’t notice the woman in a nurse’s uniform, walking up the street. Or the fact that she seemed to be escorting a man. He was wearing only a hospital gown. Fortunately, it would’ve been a short walk to the hospital. This entry was posted in Weird on 17/11/2015 by garymoore. I can’t stress enough how much of a difference a wood burner can make. When I went to bed last night, I closed the door of the living room stove (the heating had been turned off hours beforehand). And, this morning, I was surprised to be met with a red glow when I opened the door again. After a quick poke of the ashes and the addition of a couple of bits of wood, the fire had burst into life again. And the heating’s not needed this morning. 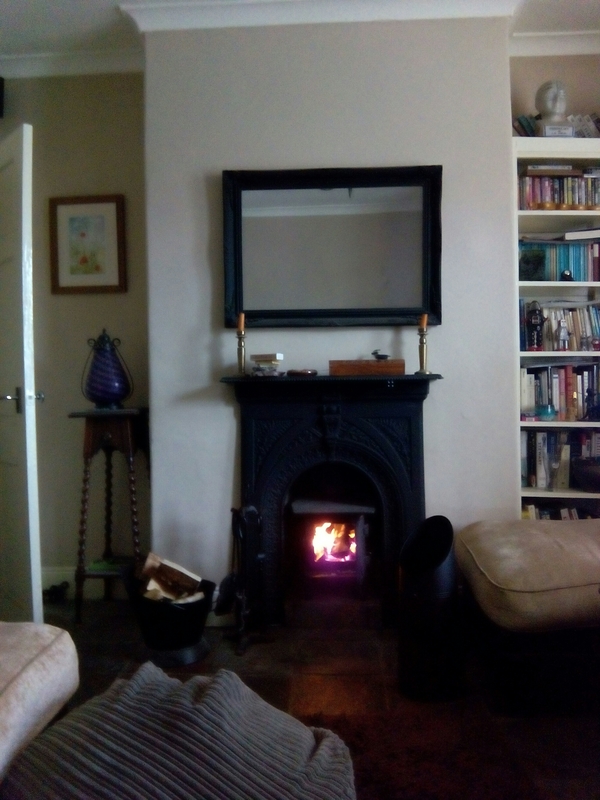 Last winter, when a damaged chimney had put the wood burner out of action, our gas bill rocketed. But, with lined chimneys and a second stove, we’ll reverse that trend this winter. Most important, though, it’s the nicest form of heating. This entry was posted in House on 15/11/2015 by garymoore. Or not. To be honest, I’ve not been impressed with vegan ‘cheese’. The soft, spreadable stuff’s OK, but the harder variety’s not great. Until today. Vegan cheese slices purchased this evening from Asda have proven to be quite edible. I’d even go as far to say that they’re really nice. 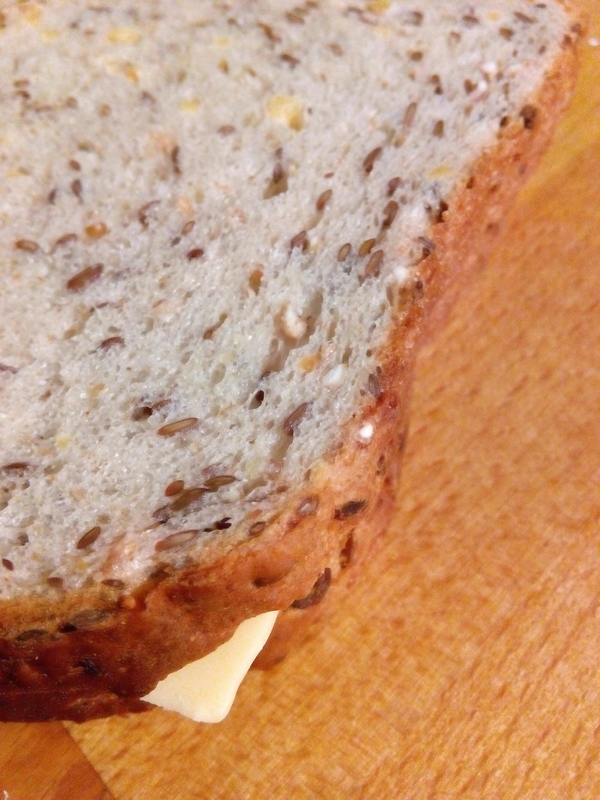 This entry was posted in Ethics, Food, Vegetarian/Vegan on 15/11/2015 by garymoore.